If anyone can make cookie-cutter techno, then improvisation is the route back to heart and soul. And there are few people as good at making dense, bass-heavy improvised dance music as Detroit’s Octave One. 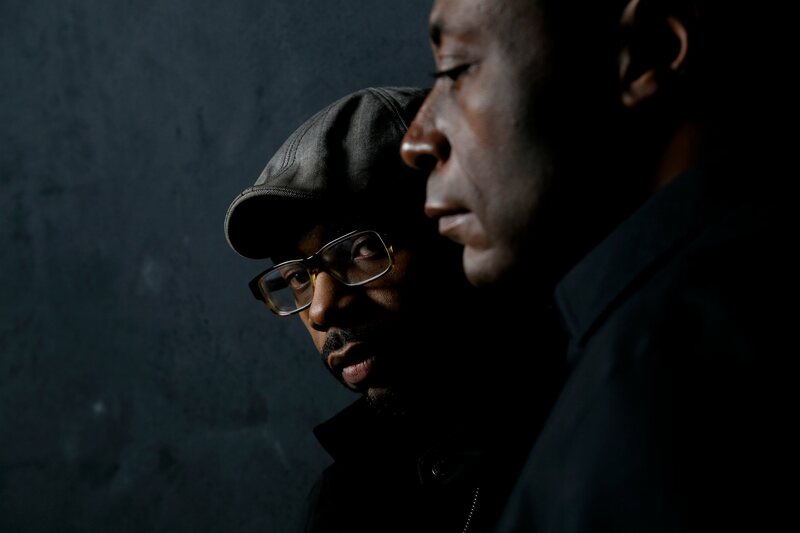 Octave One stopped by Resident Advisor recently, with a table bestrewn with gear – that thickened-up gravy of sound. Yes, that’s our own MeeBlip (SE edition, modded with an extra-big knob) on the bass stabs at the beginning. And there’s tons of KORG and other gear in there, as well. There’s a nice balance of advance preparation with rich live-played synth lines and mixing and filtering. It means they’ve done enough that they can lay down a groove, but they also can feel transitions, structure – actually say something in the moment. They’re also clever in keeping everything accessible, rather than doing something overly cerebral. Sonically, everything is defined (clever groove can help), but there’s also a healthy amount of dirt and warmth. There’s funk and soul in this music, too, ingredients that perhaps more producers would do well to genuinely understand.